Whether you’re tired of seeing engagement status updates on Facebook or you’re obsessed with bridal Pinterest boards, there’s one thing we all know—weddings are a blast. And at Tony n’ Tina’s Wedding, everyone is invited. As a guest of the bride or groom, you’re interacting with the cast from the moment you step into the church to the time you leave the reception. Bridesmaids may flirt with you, groomsmen may reveal secrets at your table and parents may be inappropriate at the bar. No matter where you’re sitting or whom you’re talking to, there’s never a dull moment. It’s a super fun and memorable night of love, mayhem, laughter and, of course, dancing. Fun fact: Tony n&apos; Tina&apos;s Wedding had a run in Chicago from 1992 to 2008 and returned in 2016 (extended indefinitely!). Tony n’ Tina’s Wedding starts at Resurrection Church (3309 Seminary Avenue) and ends with a reception at Vinnie Black&apos;s Coliseum (Chicago Theater Works, 1113 W. Belmont). Performance dates and times vary. Tickets start at $75. 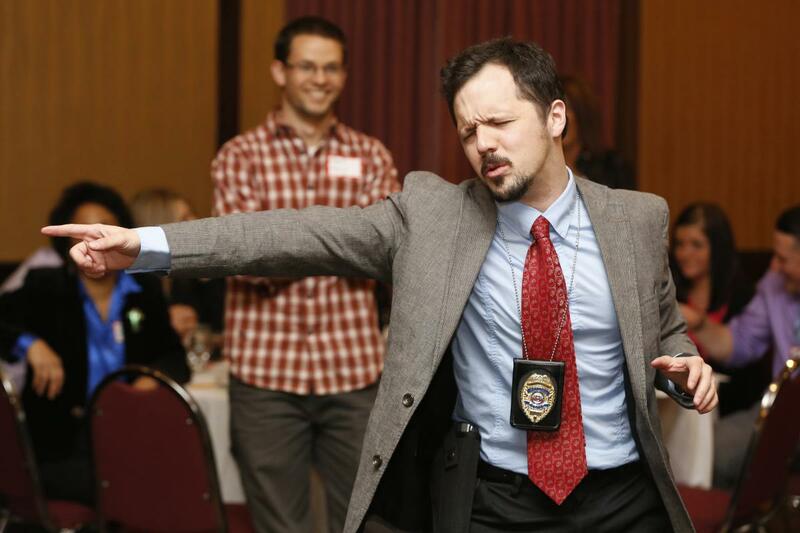 Murder-mystery dinner theater takes on a whole new attitude thanks to The Dinner Detective. Cheesy costumes and campy dialogue are thrown out the window in favor of a modern mystery that takes place in the present. Once you check in, you create an alias for yourself, so have fun and get creative. Your Olivia Benson crime-solving skills are put to the test right away, as some of the performers are posing as guests! The two lead detectives interrogate and lead you to solve clues throughout the night. They really influence the energy and dynamic of the show, and ours were on point with their sense of humor. You’ll laugh, you’ll be surprised, and if you bring your A game, you may win a prize for being the Top Sleuth! The Dinner Detective runs Saturday nights at the Hilton Garden Inn Chicago Downtown/Magnificent Mile (10 E. Grand Avenue). Tickets start at $66.95. You don’t need to be Irish to feel welcome at Flanagan’s Wake. As you celebrate Flanagan, the guest of honor, you’ll meet family members and friends who share tall tales, sing songs and toast the memory of one of their own. Prepare for an interactive experience as the performers use your suggestions to make up eulogies and fun facts about Flanagan right on the spot. It’s impressive and entertaining. There isn’t a meal at this Irish wake, but there’s plenty of Guinness and whiskey (along with a full bar) to enjoy. No need to be sad at this funeral—it’s all about the laughs! 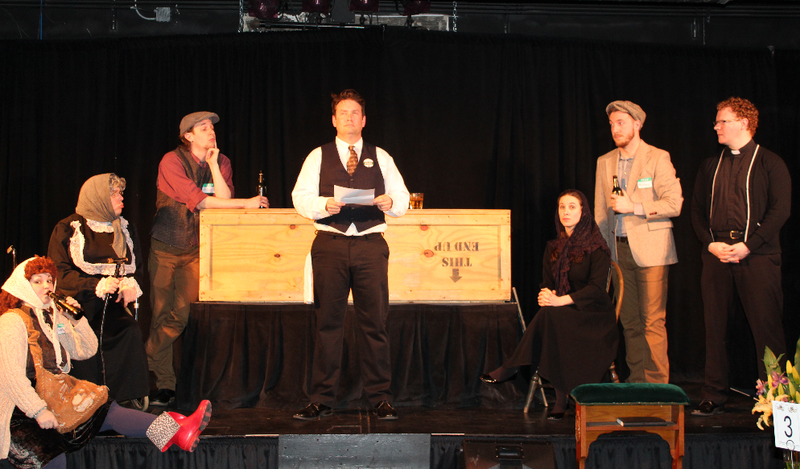 Flanagan’s Wake takes place at Chicago Theater Works (1113 W. Belmont). Performance dates and times vary. Tickets start at $29.